There was a huge demo of around 15-20,000 people in Granada tonight, protesting changes to labour laws and working practices. The march came down the main street right past our hotel, where I got some snaps from our balcony on the fourth floor. They were using flash powder to set off mighty canon-fire which shook our windows! 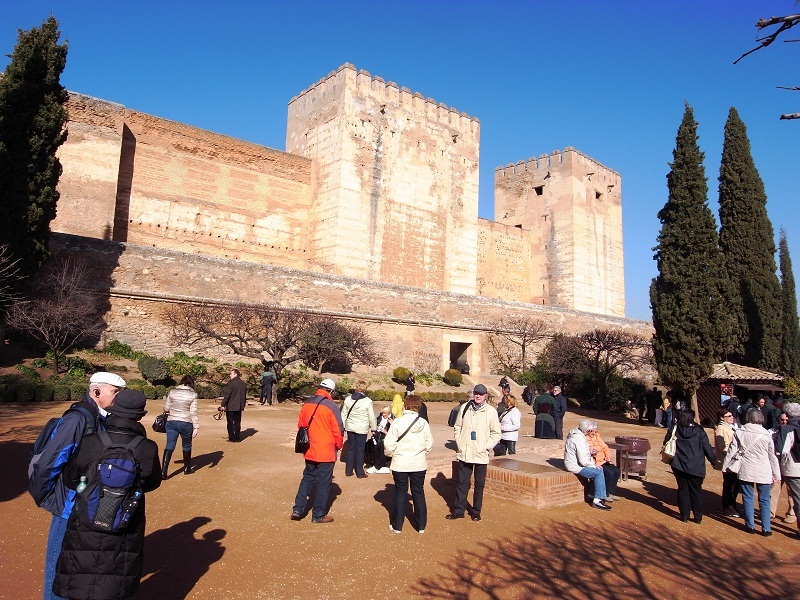 The Alhambra is a world famous site on a hill at the edge of Granada. It consists of a sandstone fortress encompassing a range of Moorish palaces, monumental buildings from the 13th to 18th centuries, and the fabulous garden of Generalife. I keep coming back here, but for Kath, it was a first, and I enjoyed seeing her delight and wonder. Here are a few shots from our visit. After three beach days, we´ve headed uphill. 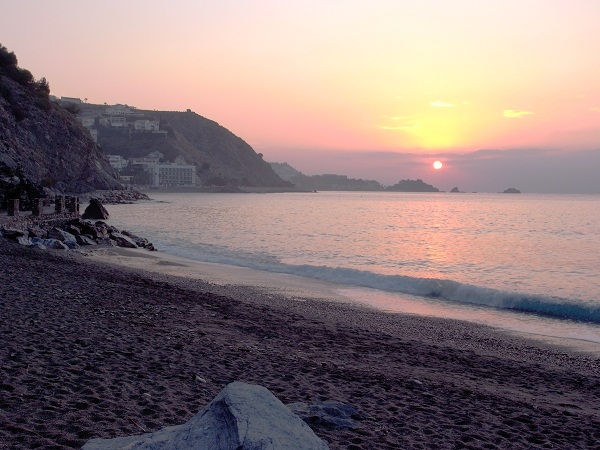 This was the dawn at Almunecar this morning. Around midday we headed for the bus station, arriving just in time to catch the fast aircon coach to Granada. It´s a spectacular climb, with the Sierra Nevada eventually dominating the skyline. Some 3,000 scientific robots that are plying the ocean have sent home a puzzling message. These diving instruments suggest that the oceans have not warmed up at all over the past four or five years. That could mean global warming has taken a breather. Or it could mean scientists aren’t quite understanding what their robots are telling them. This is puzzling in part because here on the surface of the Earth, the years since 2003 have been some of the hottest on record. 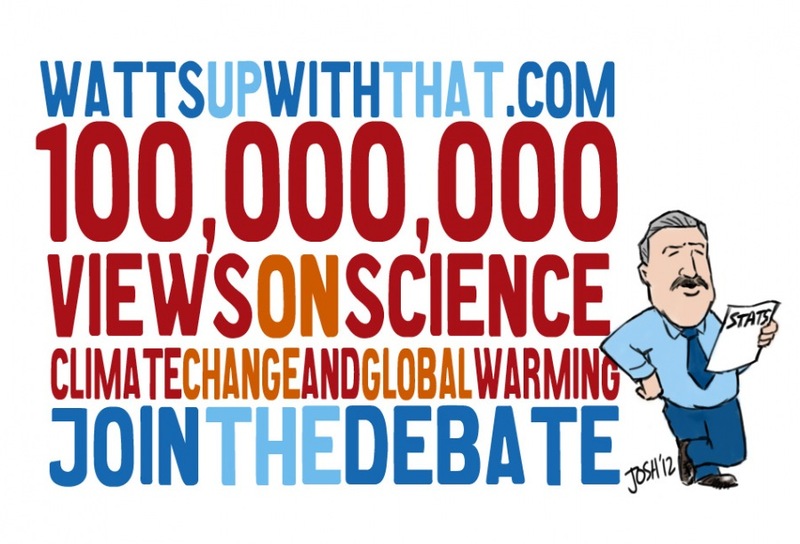 But Josh Willis at NASA’s Jet Propulsion Laboratory says the oceans are what really matter when it comes to global warming. “There has been a very slight cooling, but not anything really significant,” Willis says. So the buildup of heat on Earth may be on a brief hiatus. 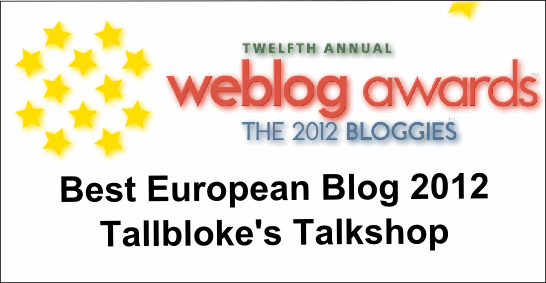 Nomination into the finals of the 2012 Bloggies was unexpected. We had a nice easy flight from Leeds to Malaga. Our accom in the old university hall of residence is great, and very central. After checking in we had a stroll round. The streets are still crowded at midnight. Everyone is out for the first warm saturday night of 2012. By analyzing two concentric spheres where one is placed inside the other some far reaching conclusions can be made concerning temperatures on two concentric spherical surfaces. 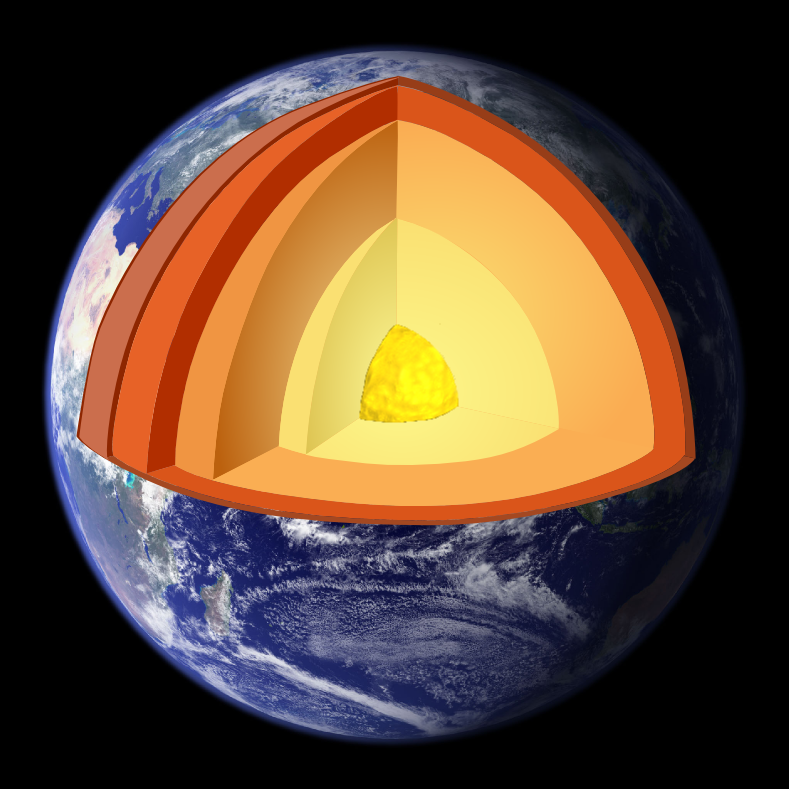 The volume in between the inside surface of the outer sphere and the outside surface of the inner surface is of interest when there is vacuum in that volume. These surfaces are assumed to emit electromagnetic radiation according to the Stefan-Bolztmann law. 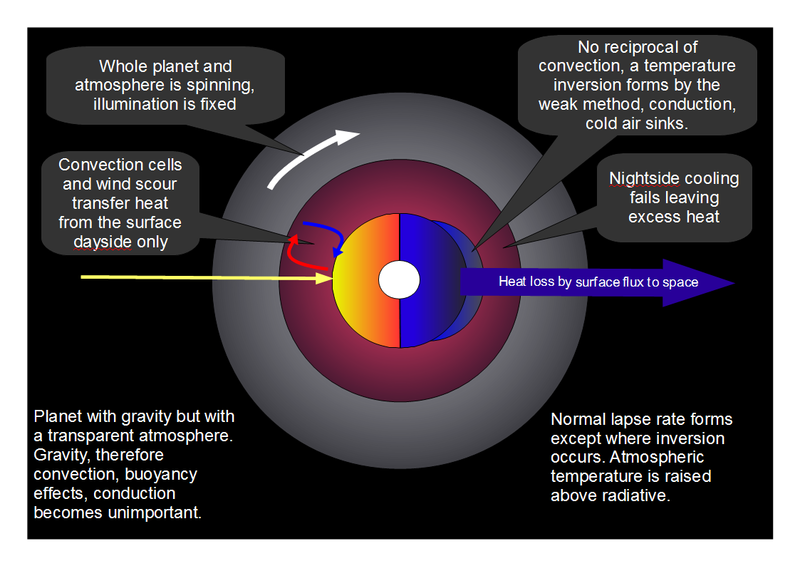 It is shown that the outer spherical surface will be heated by electromagnetic radiation to a temperature above the temperature of the inner surface. The maximum difference of surface temperatures at power balance will depend on geometry, that is to say the ratio of the spheres. The result implies that either it is possible to build a simple heat generator by small means for anybody or alternatively the Stefan-Boltzmann law is not applicable in a real world, at least not at close to ambient temperatures where the radiation isn’t directed towards empty space. 1) The so called ‘consensus’ theory of the Greenhouse Effect. At some point over the past twenty years or so it has come to be believed that the physics of radiation is the primary driving process for planetary atmospheric temperatures. I do not know how or when that happened but it is contrary to the settled science that I grew up with some 40 years ago. The idea is that certain gases in the atmosphere known as Greenhouse Gases absorb and emit more radiation than the other, majority, gases such as Oxygen and Nitrogen which make up the vast bulk of Earth’s atmosphere. Consequently it is proposed that such Greenhouse Gases block radiation emanating from the Earth’s surface from escaping to space and re- radiate a proportion of such upward radiation back to the surface which then becomes warmer than it otherwise would have done. That, in essence is the Greenhouse Theory of radiative gases and that underlies the entire proposition that human emissions of CO2 and other similar gases such as Methane are capable of heating up the Earth so as to change climates and ultimately cause devastation. I know I’m in for it when I hear this word at home. “You don’t ever…” and “You never” and “You always” – these are statements that I’ve gotten my beloved wife to see seldom accompany truth-telling. What they do accompany is strong feeling. 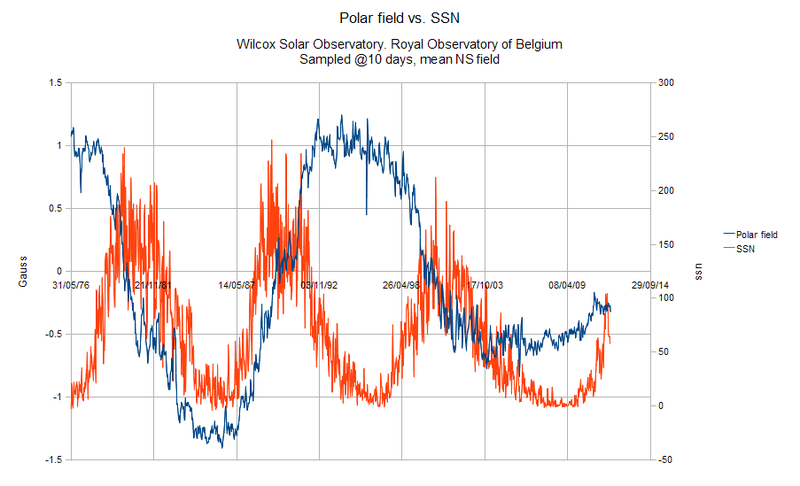 The solar polar magnetic field goes through zero at about sunspot cycle maximum, with the magnetic cycle running at half the speed, one reason why alternate sunspot cycles are similar. The present solar situation is genuinely anomalous with no-one clear on what is going to happen next. My thanks to Ben Wouters, who posts as Ben AW here at the talkshop. He has been patient and easygoing throughout the N&Z debate, injecting his own perspective in various comments, some of which I’ve pulled together here to form a loose narrative of his line of thought. To my own way of thinking, his ideas don’t actually conflict with N&Z’s theory. I’ll explain why in comments. Lets call the earth + atmosphere ‘SYSTEM earth’. Looking from space system earth is a sphere that receives ~1364 W/m^2 on a disk with the same radius as system earth and radiates away to space from all sides. Just draw a sphere (circle in 2D) and show incoming from one side, and outgoing everywhere. If anywhere in this system radiation is 100% reflected, it doesn’t influence the energy of system earth, and may as well not be there. So in my opinion albedo is the same as throttling down the sun, or placing a partly reflecting mirror outside system earth. Assuming 30% reflected radiation incoming solar is 955 W/m^2 on the mentioned disk, distributed over the whole sphere makes ~239 W/m^2. If the averaged outgoing is also ~239 W/m^2, sytem earth is radiatively in balance with incoming solar, and the total energy (and temperature) doesn’t change over time. What happens inside system earth and what the temperature is at some places is what everybody is arguing about. I have a very simple model in mind, that explains to me all kinds of processes, without going into much details initially. Everything that happens INSIDE system earth is just redistribution of energy, having no influence on the total energy. – or it is reflected without doing anything and may as well not exist for system earth. I’m not interested in black, gray or purple bodies in whatever flux field you can imagine. It’s not relevant for my system earth. It seems 239 W/m^2 IS the average outgoing radiation, so incoming HAS to be reflected partly to match this number. Can we continue and use 70% of incoming solar after albedo as realistic and have a balanced radiation budget? My thanks to Joel Shore, who has produced a position statement we can give consideration to, and formulate a response. Here’s a prime opportunity not only for those who wish to discuss the role and limitation of ‘back radiation’ in the atmosphere, but also for those who want to tackle the thorny issue of the treatment of the Earth’s surface as a ‘black body’. Comments containing snark will simply disappear in their entirety, so be warned. I’m reposting this item from Judith Curry’s blog, ‘Climate etc’ here to open debate not only on Peter Gleick’s actions, but on the way the issue is being handled by mainstream media articles in the Guardian and elsewhere. How can we reconcile Gleick’s possibly criminal behavior with his essays and testimony on scientific integrity? Kath and I headed off northwards on my birthday last thursday to enjoy the delights of the Yorkshire Dales. I took my Ricoh GX200 pocket camera along in the hope of some bright weather and big scenery. As it turned out, we got some pretty changeable conditions, from grey overcast skies and low cloud to hail, rain, snow flurries interspersed with sunny moments, and finally a blue sky day today. Here are some of the better photos from our trip. Relative to the previous illustration the planet is no longer magical, it possess gravity, having profound effects. The atmosphere is still optically transparent, no GHG. Previous post of this series is here. twenty thousand pounds would go to the first to reach the North Pole and five thousand pounds to anyone who came within one degree of the magnetic pole. What once was a matter of commercial interest now evolved into one of national pride, involving the honor of the Royal Navy. Enter one William Scoresby. 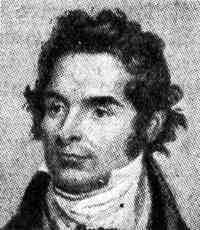 While an enterprising and imaginative sailor, Scoresby did not have the privilege of naval rank. He made his living hunting whales. In the summer of 1806, he found himself facing a strange occurrence. The preceding winter had been unusually dry and warm. So had the spring. As a result the Greenland ice pack, which stands like a silent guardian, impeding all northern progress and preventing passage up both sides of Greenland, receded north instead of advancing across the open waters as it usually did. The former British cabinet minister Huhne together with his former wife appeared today for all of 6 minutes before Westminster magistrates court on a charge of perverting the course of justice. Below the break I’ll add the URL’s of the threads here at the Talkshop and those at WUWT. Please right click and copy/paste the timestamp URL form the comments you are quoting. This will enable this thread to become a useful resource index in the future. – Thanks for your help! Anthony Watts and I have had a tête-à-tête recently over Nikolov and Zeller’s ‘Unified Theory of Climate’ which hasn’t resolved that issue, but right now I stand shoulder to shoulder with him in the face of the criticism he is receiving over the assistance he has garnered from the Heartland institute for his NOAA station data web project. Anthony Watts cares about data. He also cares that the public and scientists from all corners of the climate debate should have easy access to well presented data. With all its government funding, the NOAA hasn’t provided that. So Anthony, as if he isn’t busy enough, has taken on the job the NOAA has failed to do. But he has to find the funding to pay a programmer for a years work, and buy a high end server, and cover future bandwidth charges.